Attempted illegal crossings at the southwestern border rose in September, ending the fiscal year with a massive increase in migration tied to a new wave of Central-American children and families seeking entry to the country. 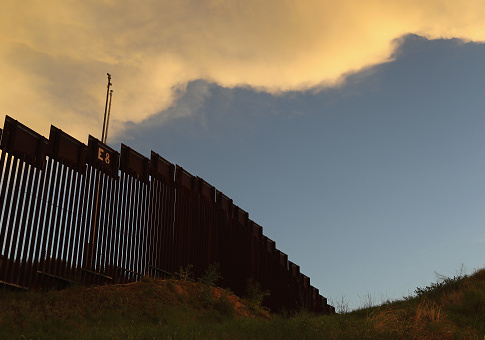 The latest data, released Wednesday by U.S. Customs and Border Protection, show that apprehensions at the border rose in September to just over 50,000, up from around 46,000 in August. These figures include all people apprehended trying to cross between ports of entry, as well as people who showed up at one of the ports of entry and attempted to enter the country without complying with relevant procedures. 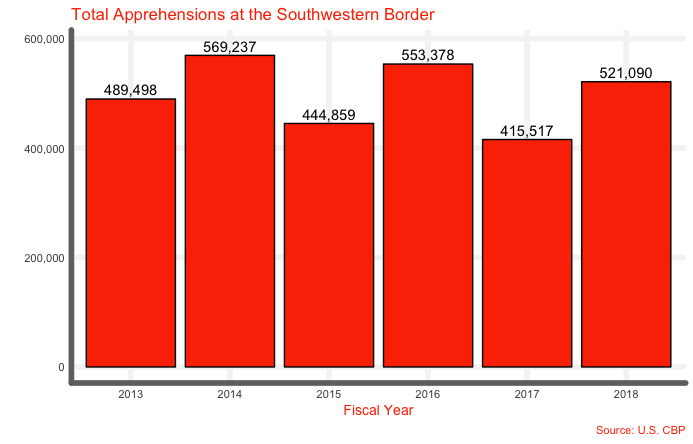 The September figures, which round off the federal fiscal year, bring the total number of apprehensions at the southwestern border in FY 2018 roughly in line with 2016 and 2014. They also continue the precipitous rise in apprehensions following 2017's record low numbers. 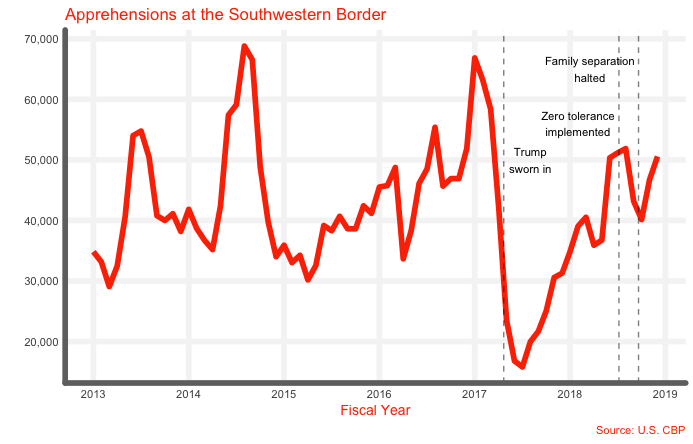 Apprehensions at the border peaked in late 2016, before the election of President Donald Trump in November of that year. Border apprehensions plummeted in the months following his election, dropping as low as 15,000 in April of 2017. This phenomenon was labeled the "Trump effect," and many interpreted it as a byproduct of the President's tough rhetoric and promises to reduce legal and illegal immigration. However, just a few months into the Trump presidency apprehensions began to rise again, with numbers for the early months of 2018 more or less in line with recent years. In response, the administration announced its plan to prosecute all illegal border crossers under its now-infamous "zero tolerance" policy. The rate of increase in apprehensions slowed, although more than 50,000 people were apprehended at the border in the month following implementation of zero tolerance. But the two months after that—June and July of 2018—saw precipitous declines in apprehensions, which the administration argued was a reflection of its new tough policy. This drop was short-lived, as the last two months of 2018 show. The White House has argued this is because of the shackles placed on it that prohibit it from effectively dealing with children (unaccompanied minors or "UACs") and family groups ("family units") who it apprehends attempting to enter the country illegally. The last several months of FY 2018 saw a surge in apprehensions of both groups, especially family units. Under an existing legal arrangement, the administration has been forced to release UACs and children with their parents into the interior, rather than detaining them at Department of Homeland Security facilities, leading to what it has labelled "catch-and-release." DHS announced a fix to this situation last month, but its implementation remains legally murky. As both the White House and left-leaning outlet Vox noted, the current number of family and UAC apprehensions it at a historic high, indicating that solutions specifically tailored to this changing composition of the would-be crosser population are needed. The administration’s claims notwithstanding, it is not perfectly clear what effect any given immigration control policy has on total illegal immigration rates—a complex figure the causes of which are difficult to untangle. 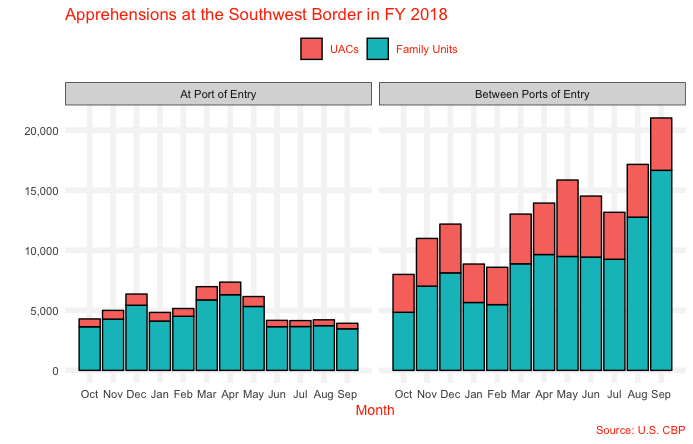 Notably, the number of family units and UACs attempting to illegally immigrate rose between April and June, casting doubt on family separation as a tactic for reducing family migration. However, recent research does indicate that prosecuting first-time crossers reduces subsequent crossing attempts, indicating that a "zero tolerance" policy drives down illegal immigration. Nonetheless, the legislative changes needed to swiftly prosecute and deport unaccompanied children or family units, especially those who make often-specious asylum claims, are unlikely to come any time soon from a Congress skittish about immigration generally. Even with majority Republican control, the legislative branch has failed multiple times to reach an accord on immigration policy more broadly, leaving the Trump administration to cope with what it is now labeling a "border crisis." This entry was posted in Issues and tagged Border Patrol, Illegal Immigration, Immigration. Bookmark the permalink.